I believe you miss the point with some of us who have been mis-categorised as being critical of Anousheh. I, for one, am not. I will state here, again, for the umpteenth time, that I am jealous of her trip to space, and if I had $20,000,001, I would gladly burn $20,000,000 (suggested retail price) for a trip to ISS as well. The issue some of us have with the bizarre kool-aid reaction to Anousheh’s trip is that people are acting as if this were “Something New”. So please educate those of us who are under the impression that being the 4th in line for this makes her trip somehow special, other than (a) she is a woman and (b) she wrote a blog. I wonder how many of the Anousheh fan club can name the 4th person to set foot on the moon, outside of the dyed-in-the-wool space fans (as opposed to those johnny-come-lately’s who seem to be the bulk of the new fan club)? I’m guessing it is in the single digit percentile. No, I don’t stop to thank them, nor do I remember their names or build a fan base around them. Who was the 4th person to sail across the atlantic on a steamship? See, I’ll bet you don’t know either. People who buy tickets AREN’T INVESTORS. They are CUSTOMERS. Repeat that a few times and the difference may become apparent. The Investors were the ones who funded the assets and thus built the companies which created the airplanes/computers. You are mixing concepts here, in a naive way at best, a deceptive way at worst. So? How does that pertain to this particular trip to space? Amen. The congregation is now dismissed. I am an American-Iranian living in South California and your story is one of very few stories in many long years where I have felt proud to be an Iranian. Thank you Anousheh, for your travel, your writing, Especially your writing, and your funding for all of the good things that it goes to. Thank you Peter, for your part in helping Anousheh follow her dream, and this voice of reason. Finally thank you everyone on this blog who has been reasonalbe. Good day, good wishes to everyone. Thanks for your comments…I couldn’t agree more and as I said on a previous blog, some people just don’t understand the big picture. No matter how good, how caring, how loving and sincere, there have always been negative people. But, the proof is here, in this blog, there is something special created by Anousheh for many, not for one. Thank You Peter for your wise words. Good Luck tomorrow and onwards! Congratulations for being a class act. You do both of your countries proud. Don’t allow the mixed reactions to diminish your joy. You set a goal, asked for none of our help along the way, and then attempted to bring us along for the ride. You have been eloquent, and insightful. Any questions re: your choices in how you spend YOUR money, have already been addressed in your introductions and goals. In my opinion, you held up your end of the bargain, and have misled none of us. Whether we agree with those goals is on us, not you. We all have choices to make. Be strong and proud for following your heart. We need more of that. Thanks for being a positive example to watch as you attempt to show us there is more available to us than myopic obsession with our petty differences. I need to ask shubber Ali, If this blog upsets you so why do you read it.I for one knows she is not the frist and will not be the last to go in space.But none have every taken their time to explain what it like.This blog has giving me and so many the joy of knowing.This is her dream and her money to do so as she likes and I want to thank her for sharing her dream with us. Please try to keep a sense of perspective here. Shubber Ali is not a pseudoperson, he is an actual friend of Ground Ops. He begs to differ a little and asks grumpy questions. That is not a crime. The most obvious reason Anousheh the fourth space tourist will be remembered more than the first three is that with a simple blog she has got millions interested, firstly in Space but more broadly in the idea that no matter who you are or where you are from, you can achieve anything you want if you set your mind to it. If the others before her, including the astronauts and cosmonauts had written blogs or otherwise let people know about what it is like in Space in such a detailed, personable “down to Earth” style from their hearts then they too would most likely have garnered such a “fan club” and resulting increased public interest in Space. Millions of people want to become astronauts. Most won’t be able to in the near future anyhow but really felt they were able to share in the experience thru’ Anousheh. How is that a bad thing exactly? You must have spent a long time trying to come up with something negative to say because I can’t see anything bad about this whole experience. I have already made the mistake of responding to this Shubber guy twice and am irritated that I wasted time to do so. The fallacies in this guys logic are astounding and tiresome. Let us all bring the discussion back to Anousheh and the announcement just a few minutes ago about the new X PRIZE! That is newsworthy, not failures in argument by Australian bloggers–> who cares! ” hundred years from now when people tarvel easily to space, Anousheh and all the scientist and people who have risked their lives in thsi path, will be remembered, I can see that right infront of my eyes! give up by geting negative feed back. People are free to say what they want, they can even be agressive an unfair, this is life on the earth, you do what you think is right. Guys, I like this blog, because I think all people writing here are like me an in love with space and its beauty! Let’s all of us ask Anousheh to finish up the “ride down” story! I’m dying to hear the rest! I think she did not finish it, am I right? or I missed it. I agree with Peter that Anousheh’s space travel will boost the space industry and tourism to good extent which is good for technological development in this world which we all know is necessary. I also agree with Shuber Ali in that the poularity she is enjoying has lot to do with she being a woman and she has a blog. Without these two factors, actual number of people who seem to ‘support’ this cause, might go down drastically. I doubt if as many people know the names of first three space tourists as they know the fourth one. On the whole, I am glad space tourism is expanding in scope and if I have to thank Anousheh for that, I will. And also to Dennis Tito, Mark Shuttleworth and Gregory Olsen. If the other Japanese guy who was replaced by Anousheh, would have made it, I would have thanked him. Dear Peter, Thx 4 explaining the issue so clearly and simply. U said the words that were in our heart. Dear Anousheh, Never ever be upset because of these stupid views.Ur so great and will always be.Whether u go in the right or wrong path,words are said behind u anyway…carry on to ur thing and ignore them!! !Im sure 90% of people (at least) around the world are proud of u and they will thank u for sharing ur amazing trip with us.So dont let that 10% bother u,cause we always want to hear ur cool experience with the good & + mood you were in. Let those people say whatever they want. They aren’t worth being upset for. Yes, Im happy u felt and understood our feelings towards our messages too.Ur words are definately coming from ur heart and thats why it sits in our hearts. a trip to ISS changed to “how much”?…mmm… sounds out of focus..
A wonderfoul experience, plenty of sensations, written from heart, joined with millions,..isn´t it valuable? Someone loves cars, others artcraft, we the people that are in this blog love spaceflight, science, stars, planets an of course the earth. How many times your friends and also you commented about your trip to some place? How many? Anousheh…amaizing trip !!!! I enjoyed a lot !!! I remember the pro and con debate about the value of spending money on manned spaceflight has been going on since the 1950’s. I have heard both sides of the argument presented by passionate and well-meaning people, but many like myself feel the space program and it’s by-products (for example telemetry and other advancements in the medical field) have had great value. And manned space exploration has given many of us a shared dream of worlds to explore. There will always be people who cannot encourage and cheer for others who are achiving their dreams. I regret that attitude is showing up in this forum. What, for me, has made Anousheh’s spaceflight different from the previous professional or non-professional space explorers is the level of her “real time” sharing of the experience she has been willing and able to do. We have gotten to share feelings and experiences of some of our astronauts in the past, but usually have had to wait decades to read it in their memoirs. Her “Space Blog” is fantastic — especially for us earth-bound wannabe space explorers. Who can really fault somebody who is sharing of herself and trying to inspire the rest of us to dream and follow her example to work toward making our dreams come true? Firstly , i would like to congranulate Miss Anousheh for her successful return from the ISS , to me she is a truly brave woman , someone who really blog by her heart . Her descriptions about life in space gets you the feeling as if you are travelling with her and it’s a simply once in a lifetime exprience for miss Anousheh . To me ,She is a Hero and someone who will live in the hearts and minds of many for years to come when we think of space exploration we’ll think of Miss Anousheh and the others Space explorer who has made the first step in revealing the wonders and mystery of the space it’s like what Neil Armstrong said – That’s one small step for a man , a giant leap for mankind . To Miss Anousheh , it’s just the beginning for her explorations to space and there are still many Mysteries for her to discover do not be disheartened by the comments of the “Crtics ” In Fact you should continue further trips to space if possible and spread the knowledge and the wonderful environment of space and educate the public on how space is like .My Family has been following your mission to space closely since the launch to landing , you have inspired us and i also learned a lesson during your Mission to space that if we really work towards to our dream and goals we’ll succeed . May i tis time to wish you all the best and hope to see future missions of you in space ! 1. They are following the rules of the market increasing demand. 2. They proving that space travel is not the awesomly hard endeavour it was 30 or 40 years ago. Hard, yes, but not as it used to be. Their use of the current means of space travel is opening up a new market for space tourists (yes I used the T-word, but for all intensive purposes). Virgin Galactic has announced its contract with Rutan’s Scaled Composites. For 100,000 you can go sub-orbital. Assuming Virgin Galactic is successful and proceeds onto orbital trips…think of the price difference…its not going to be 20,000,000 though, thats for sure. Then what’ll happen? A few years from now, when all the ‘new space plane’ smell has worn off…you could realistically be purchasing a ticket to go from New York to Beijing on a 40 minute suborbital trip for a lunch meeting, and back by late afternoon. The nature of people is to just use what they have and not really think of how it came to be. As far as people thinking this is ‘something new’, here’s some news…IT IS NEW! And until there is some major breakthrough in how this is carried out, this is the very cutting edge of this frontier. And whoever is excited has every reason to be excited and proud. Shuber’s points are well taken but this Ansari fan does recall the foruth human on the Moon. Mr. Alan Bean, of course. In business, the first poineers generally fail. It is the second, third, and fourth who prove the investment worth making, building upon the experience of the past. The cummulative effort of Ms. Ansari is what is to be celebrated — along with what we anticipate she will do to inspire others to accomplish as well. In case you don’t see it there, I want to say thanks to both Anousheh and you for what you’ve done so far, and what you will do. I’m an Iranian and here in Iran everyone is so proud of Anousheh. She shouldn’t care for negative e-mails. Millions of people love her and she should focus on that love. Give my love to her. I hope someday I can meet her. I really like to know those who critisize this PIONEER woman , what they have done for humanity till this time !!!!! GOD… how someone can be in this way narrow minded … ! SHE HAS DONE HER RESPONSIBILITY IN AN EXCELLENT WAY ! SHE DON’T LIKE TO WRITE ANY MORE ? I am not in a position to reply ‘Shubber Ali’, nor my English knowledge is so good to understand all his proverbs and wisecracks. Also I don’t agree with ALL of what Peter has said (however, the majority was what the spirit of this blog agrees with). I just send this comment to say that, I, as an Iranian born and up-brought man, and as one who lives in a below-than-average social level, admire Mrs. Ansari’s decision to cut the line of stereotyped minds and make the whole world thinking about what she wanted to say. Don’t count me as her fan: I even didn’t know her last few months. I have indeed some criticisms to her performance and thoughts too, but it doesn’t change the matter that SHE DID THE CORRECT WORK (as I already told about it in another comment). However, no one is perfect and each of us (me as the most) have been doing a lot of wrongful works in our limited life. Maybe if she had spent her money in some charity deeds (I’ve heard she really has done a lot) people now was blaming her why she didn’t invest in some industries or researches that may lead to greater results in longer time. But I just ask one thing: Who guarantees? How can anyone be sure if she had done something else its result was better than what she did? Are you sit on the place of God? Do you mind if you judge with the same rules that you are scruitinizing her? And don’t you fear about the final statement of this public court? By the way, who thinks is innocent to take and throw the first stone? Who are we to think that we can judge?? I’m really surprised…. At the end, please accept my greatest appology if my comment has stung anybody or make them feeling of sulkiness or anger. Also excuse me for bad knwoledge of English, which makes me tired too! I once again would like to thank Mrs. Ansari for all the things she has given us (and surely will continue to give), and thank Peter for all his efforts and for this informing comment, and also thank ‘Shubber’, ‘Morteza’, and many many other criticisers who have sincerely and graciously shared their mind with all of us. And finally thank you, all you readers and bloggers, who prove that it’s a new stage for the people all around our world; the stage of uniting, coexisting, and thinking together and for each other. A little member of the United World, Farhad. I believe, what makes Anousheh so popular, is her accessability. If she has opened up the hearts and minds of others to believe in themselves, to go farther, learn more (not neccessarily academically learning, but about relationships, family histories ect.) become interested in life and the universe around them because of her then she has done a wonderful thing. She *has* done a wonderful thing, showing people what and how learning about the universe around us works, giving us perspective. One of my favourite things she said, was how there are no borders in space. This immediately caught my attention when I read it. To me it means multiple things- humans all have common tendencies, traits and other linkages which occur no matter where you live in the world, to the idea of something greater than oneself (ie beliving in the idea of ‘god’- in whichever religious context you believe in-). If everyone could step back, and look at the global society as a whole, to appreciate the linkages between people, between the sky and the ocean, to appreciate the delicate system that we live in this world would be better for it. Anousheh has just opened the door to this outlook, giving us her personal outlook and expanding our horizons (pardon the pun there!) taking our hands and using the connection (between everyone here on earth) to show us all something new. I truly wish the very best for her and all of the other astronauts and cosmonauts, as well as their families. Today 2 Americans won Nobel prize of physics but I went to various high density American news sites such as cnn and hardly see a mention of it. Big news is sexual behaviour of a memeber of house. Yesterday two Americans won Nobel prize in medicine and then again American media big event was another high school shooting which could very well be result of how they covered last few school shooting last couple of weeks. Inspiring news have positive effect on people , it is encouraging to young and old , people of any race religion or nation. More important of Anoushe being a woman or having a blog was the closeness so many people felt with her, look.. she is just like one of us and look what she achieved. Thanks to Peter for very thoughtfull words and highest regards for Anousheh which passed so many hurdles and broke so many frontiers with hard work , vision and persistance. vaghti shenidam shoma mikhahied be faza beravid ! vaghti shenidam shoma ba salamat dar eistgah fazaei gharar gerefteid ! vaghti shenidam shoma ba salamat be zamin frood amadid ! vaghti ghesmat avale tarjome veblag shoma ro khondam ! vaghti ghesmat dovome tarjome veblag shoma ro khondam ! khoda shahede hamsh ehsas ghoror kardam va ba onvan yek irani be khodam balidam . be omid didar dar iran . Thanks alot for your loyality to Iran .. Iran will be proud of you… best of luck , where ever you are and what ever you are doing..
here are my pictures , participating in e Robotics contest national wide in India ..we became 3rd finally.. I am glad you guys are driving this amazing revolution forward! Peter, I thank you for making it possible for Anousheh to fulfill her dreams to travel in Space, and Anousheh, I thank you for allowing us to share with you in real time all the ups and downs of your incredible adventure! In your blogs Anousheh, you kept saying how energised you felt after reading all the replies to your blogs, and likewise, with every new blog I felt not just energised but an incredible sense of responsibility and obligation towards our Planet…. Please let people say anything they want and stop niggling them! None of us (including you) are made from pure intellect, nor a sentiment could correctly be described by these modest imperfect words. It’s better (if you accept your brother’s advice) to share your thoughts and minds in a way not to insult others, even if they seem to be of less intelligence than yours. I admit that you expressed your opinions perceptively and this is because of your high IQ. But unfortunately your tongue is a little stingy! Well, sorry if I bothered you; it was just for what you said about an Iranian-American’s comment about being proud of what Mrs. Ansari has done: Yes! Her performance is honorable for all of Iranians! Not because of those trivia you’ve mentioned; but for the fact that we need to be inspired to remind who we have been and what we have done. Don’t forget that Iranians were the first legislators of the ‘Human’s Right’. Remember that within a century, travelling all over the wide Iran had being done with the highest available security. Note that Iran had being ruled with the first ‘Written Regulations’ which was proclaimed to all people (Who said democracy is western?) and included all man’s lagal requirements, from taxes and dues to insurance and payment rolls, and from habitation regulations up to war summons. So next time, please, be prudent not to say anything that might be misunderstood. Many people have a great national intolerance! Thank you very much for your very thoughtful comment. When someone goes to fishing , he/she could not catch only big fishes by his/her net. A blog is like a fishing net which can not be used only for getting big and useful ideas and some useless ideas will come up with. So the problem belongs to net and blog system not to fishes and ideas. It is better not to be so sensitive. Just be free and use big fishes and leave the others. Please tell Mrs. Ansari to continue writing on her blog. We are really waiting for her next text…. Your words are so well chosen for describing your feelings over the whole situatuation that makes me want to go and picture frame it! I fully agree with Mr. Diamandis. This is a great thing and in my opinion Anousheh and her family should further pursue those goals. Dear Anousheh, dear Peter ! – You report shows, that space travel is not only fun, but very hard work before and during the flight (which is different to “buying a ticket” ). It would be a good idea, writing a book for our children and students about the whole trip, including the preparations before and all the necessary knowledge about space travel. – The most important message is, that you, as a woman from Iran, realized your dream and that everything is possible for everyone on this small planet ! I was very impressed about the lot of comments from Iran – they show that space travel can create new perspectives and that geographical and political borders are invisible from space. Anousheh is an amazing woman, with an unquestionable courage and good heart. And she earned her money honestly, due to her ownn talent and initiative. To the critics I say: I wished you were as verbal towards people- mainly politics- who actually use public money for their personal benefit, i.e. STEAL! To Anousheh, keep up with the amazing work! When Anuosheh went to space, I know some people not accepted her. This people think payment for dreams be illicit and like lapse of centuries when Galileh says “earth is like sphere and turn around itself”, they laughed him. I really don’t know how scientific Innovations have or will have this trip to human but We are not speake about that because it is not our work. I believe you must be first in every thing. Helping people one of those thing you must be first, but I ask a question: How much you pay to helping people? I hope God bless us and one day we saw a world without war and fate and we wont show children dead bodies, children crying on mothers and fathers dead bodies and etc. Where are you? We wait for your Notes. You distribute POSITIVE ENERGY in our Hearts. Donot worry about Negative Comments. Your responsibility is more and more after return from space and ,certainly , millions of people in IRAN and other countries will be with you. You are very strong and I sure that you continue your activities …..
انوشه جان تو با اين سفرت اميد را در دل ميليونها نفر زنده كردي و حالا مسيوليت بسيار بزرگي را خواه ناخواه بر گردن خودانداخته اي وآن همانا ادامه راه همراه با ايده هاي جديد و تا به آخراست. ولي اين را بدان كه در ادامه راه تنها نيستي اول خدا و بعد هزاران چشم اميدوار كه ديگر تو را مي شناسند و حاضرند همراه تو باشند. بنابراين با توكل به خدا به سمت تحقق ايده هايت برو … ماهم هستيم …. First, you are not a representative for Iranians,so please mention that these are YOUR opinions. Third,”we need to be inspired to remind who we have been and what we have done”.No I think our rich culture and history is sufficient to remind that.We don’t need a space trip(and it can not).Also Anousheh doesn’t seem means this.Our problem is that we usually stop at inspiration and don’t care the next steps! And when other nations with much less hitory and historical prides get some achievements for their endeavors and “rationality” we suddenly remember our “nationality”! Fourt,Shubber’s is not stingy,but reality is. Fifth,have you already heard about “Hamurrabi” and “Babylon”? The first “Written Regulation” is theirs,as far as the archaeological findings proved. Sixth,”Many people have a great national intolerance!”. This is the attrited face of Iranians which nowadays some are trying to show overall the world.No I think Iranians are much more tolerant,patient, and peaceful.Just remember Cyrus The Great, and now Anousheh,”The Ambassadoress of Peace”. And the last,”And we need to renovate our culture, so we need an inspiration like her…”,Ha ha ha …Do you really need a space trip to renovate YOUR culture? Dear Farhad, calm down man ! Please let Anousheh think about what she wants to write ! or concept in making our world mach better by our actions not just by our words and claims ! The amazing thing about this blog is Anousheh’s willingness to share and describe her trip in a vivid and captivating way with great skill and love. The point is…she took the time to describe it to people because she was driven to do so for a great cause. The truly amazing thing about this whole blog is it really was intended to inspire people from Iran, especially the girls however, Anousheh’s wonderfully written stories struck us all mainly due to HOW she writes! It’s not just a bunch of technical terms which help to induce sleep, it was a heart felt story, described in a way that kept your attention and easily attracted many of us. The only thing outstanding about Anousheh’s trip to the ISS verses any other amazing trip previous…is her passion to actively share it. It was like we were with her everyday as she dscribed her daily experiences and how they made her feel. She won our hearts with her desire to share this with everyone utilizing a incredible writing ability that sucked us in and honestly made us feel a part of it. It was like a continuation of your favorite TV show. You didn’t want to miss the next episode! Yeah…I’m really going to miss Anousheh’s stories. I looked forward to them every day! I’m just glad I was blessed and able to share them. I hope in some small way this helps people to understand why we’re so attracted to Anousheh. She is very special because she took the time for us. Thank you for the blog Anousheh!! It’s been a great ride! I have been following your adventure in outer space since the very first day I heard about it on CNN. I must say that your blog was fantastic. Now that I see your final entries and images from space; I am even more appreciative that you have taken the time to share these things with the rest of the world. Although I have seen many images from space, yours are the first re-entry pictures I have come across and the “shooting star-like” image is just incredible. I have always been a dreamer and take inspiration from other dreamers. I haven’t the dreams to reach outer space but at the same time I love to learn about it. I can imagine how you must have felt when you looked down and saw earth for the first time. It is dreamers like you – who take extra steps in order to turn their dreams into goals and then achieve them, which will take us into the future. To me, it really isn’t a case of whose money paid for this trip. Yours is a story of inspiration, intelligence, strength, and integrity and I am changed for having read it. Don’t let the negativity get you down too much. You know who you are and what your goals are and how you achieve them is your personal business. Keep in mind there are plenty of us who are positive about this life changing event and think you are a better person for it. Thanks again! Where are you? It seems that your pathetic emotions have been totally gotten drained! You promise to continue writing untill then, but there is no news from your side…. Anyway, although I tried not to be a mono-writer here, I have to mention that the way you have started to walk is openned against us, challenging us to take steps on it, and showing us the horizons of future. In contrary to what some criticisers expressed, it is not your trip or the investment you made that is admirable, but I adore your sense of philanthropy and humanity. Specially, I love your great thougth of the United World (which I borrowed it in my signatures!). So let it be continued. Let this young sapling grows well. I do agree you can not bear it alone and everybody has a part of responsibility; but you are the inspiration! You should shine up the road like a torch until the others enter it and each become another torch. So, please, for the sake of all these stimulated minds, don’t stop writing! I’m sorry for myself not able to trace this marvelous blog up to the next Saturday morning (Iran time). Till then, I hope you come back among your compatriots, the Earthborn humans, once again. Take care and be peace with you under God’s mercy, in these Ramazan days…. انشاا… خوب، سرحال و مثل هميشه خنده بر لبان شما جاري باشه.خيلي به خودم مي بالم كه ايراني هستم.انشاا… افتخارات بعدي شما در دنيا باعث تقويت روحيه بلندپروازي و زياده خواهي(در مقابل كم خواهي ايراني ها)بشود و همه ما بدونيم كه مي توانيم فقط بايد فغل خواستن رو درست صرف كنيم. من از چند روز به پرتاب تا كنون سفر شما رو دنبال مي كردم. در تصميم گيري براي آينده خيلي برام موثر بوده خيلي خوشحال شدم از طرف همه ايراني ها سلام گرمي هم به حميد آقا همسر گراميتان برسانيد.منتظر موفقيت هاي بعدي شما هستيم و مطمئنيم كه انتظار دوري نيست. دست حق نگهدارت. سلام خانم انصاری خیلی خیلی از شما بخاطر وصف زیبایی که از فضا کردید متشکرم یک جورایی میشه گفت که ما رو هم در سفرتون شریک کردید خیلی ازتون ممنونم بخاطر اینکارتون . مخصوصا وقتی که شما داشتید تعریف میکردید که زمین رو برای اولین بار از فضا دیدید و اشکتون درومد بخدا قسم یه بغض و اشک عجیبی سراغم اومد که شاید خیلی به احساس شما در اون لحضه نزدیک بود اصلا برای همینه که میگم ما رو هم در سفرتون شریک کردید . دیدن اون لحظه بی شک آرزوی بیشتر مردم زمینه خیلی احساس عجیبیه من خودم به شخصه بارها و بارها این صحنه رو توی ذهنم مجسم کردم و هر دفعه که این کار کردم با تمام وجود گریه ام گرفت حالا چه برسه به اینکه از نزدیک ببینی . وقتی با خودت فکر میکنی که داری کم کم از زمین دورمیشی و میری ( بقول شما ) وسط اون مخمل مشکی از خودت بیخود میشی . بنظر من وصف بهترین ملودی ها و آهنگها را باید در آسمانها تجسم کرد نمیدونم شما چقدر با نظر من هم عقیده هستید شما بهتر از هرکس دیگری باید اینو بودنید چون اون منظره ای رو که ما در عالم خیال تجسم میکنیم شما به چشم دیدید واقعا خوشا به حالتون .خیلی دوست دارم از احساسات اون موقعتون بیشتر بگین . همیشه سربلند و پیروز و ……………………………………خندان باشید . Someone commits a noteworthy act and a few people leave negative comments on the message board. Happens all the time. Ever hit the “Discuss” button at the end of very Yahoo news story? It’s amazing how many half-baked grudge-filled nut pies are out there trolling the Internet. Negative, poorly constructed comments are bound to be laid steaming on the doorstep of anyone who does something worthy. They’re easy to ignore after you get the hang of it. You took it out of my mind and mouth. Thank you for saying it so beautifully. TKO for all those who refuse to understand that man has a purpose to strive beyond where he is today. Man has a will and will not amount to much if he left it floating! 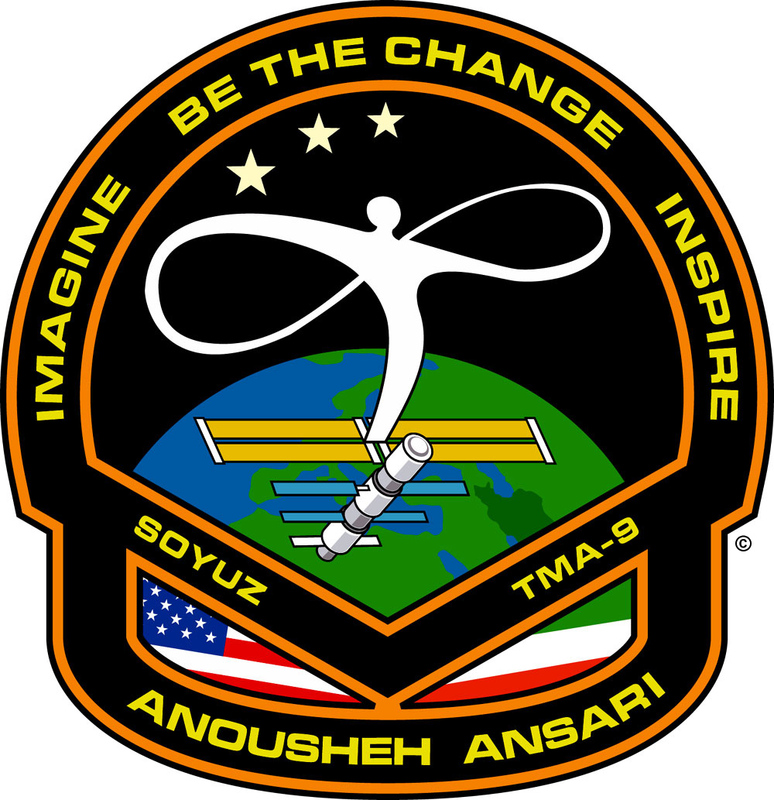 Like many of those who have been eagerly reading Anousheh Ansari’s Space Blog, I am disappointed that some have chosen her blog as a place to vent their own issues, without adding anything to the global conversation. congratulations, I want to know everything about this misions!!! This blog is a brilliant idea, and has brought people from most all walks of life together to share an extraordinary experience. There have been many insightful and/or touching, and/or illuminating things written by Ms. Ansari and others. The overwhelming positive effect of her expedition and the blog, as well as whatever is to follow can’t be diminished by a few critics. People with criticism, valid or not, are often the most vocal in any group. Please don’t forget that there is a VAST body of readers who are touched and inspired and don’t have criticisms that they care to share. Most won’t take the time to share congratulatory messages either. But despite all that, at a minimum most people will share a spectacular moment with a pioneer, and for some of those people, this might be a turning point in their career or life direction. You never know. But I do know that you should take great pride in this project, and although by writing this I’m no longer part of the silent majority, I would like to thank you for this window on an amazing world. Without seeming to criticize or otherwise judge Anousheh’s flight (well, I will offer a judgement: fantastic! ), everyone needs to keep some perspective on this event. The importance of her flight wasn’t that she did anything new, or even that she communicated her experience to us here on Earth – plenty of astronauts and cosmonauts have done that, some in more profound ways than others (view Alexei Leonov’s paintings, for example, or read the book The Home Planet, which is filled with personal, very moving reflections by space travelers). The real breakthrough in Anousheh’s flight is that she got people to listen and relate to her experience. Through the medium of the internet, this had much broader impact than it did with, for example, The Home Planet. (after all, if a tree falls in the forest, and no one hears it, does it really matter to anyone that it fell in the first place?). I congratulate Anousheh on this achievement, on opening so many eyes and ears to the wonder and beauty of space travel, of viewing the Earth from space. I hope she continues to have the passion for communicating her experience, and translates that into action on behalf of this ailing planet that we call home. I am 52 years old, and have been a space junkie since the days of the first space flights. I read your last blog entry and now the entry of Peter Diamandis with great sadness. From the moment I found out that you would be riding Soyuz to the space station, I have followed with great anticipation your every move. Your strength and courage captured not only my imagination, but the imagination of the world, male and female alike. NASA TV opened the door for ordinary people to get a glimpse of what the space program is all about. You on the other hand opened the door into your thoughts, your soul, and your imagination. That is the essence of what captured all of our attention. Here is an ordinary person risking life and limb to pursue a dream. Here is an ordinary person that I can identify with. Granted your money gave you an advantage most of us don’t have, but that’s all part of life. Some people get this thing and some people get that thing. That’s just the way it is. However, that in no way diminishes what you accomplished. Not only were you able to ride into space, but you were able to bring millions of people along with you. I feel your greatest accomplishment though was earning the respect of those you flew with. Those men are veteran astronauts and cosmonauts who have dedicated their lives and careers to the space program and to space exploration. If you earned their respect your certainly don’t need to worry about what anyone else might think about what you did and what you accomplished. I think I speak for the majority when I say; Please finish writing in your blog. You promised the second half of your return home on Soyuz, remember? You had just touched down to earth and there were rescue personnel knocking on your window…………. God Bless Anousheh, and God HAS blessed Anousheh and all of us in showing space is just the stepping stone in a path to life with love. I keep cheking your blog to read your writing about the rest of your journey return home on Soyuz. Why you don’t write any more? you will speak out for peace. Those who try to add negativity to your achievments and efforts, are those who starve the same attention that you are getting, because you made a difference. In reality they want to be different, like you, but what you achieved is not easy for them to get, therefore they try to be different in the community of your supporters and blog readers. Don’t bother! Not worth your energy! Besides, personally I think you should be happy that not everybody agrees with you. If they would then you had to think there must be something wrong. It is IMPOSSIBLE to please all. Maybe the reason Anousheh has $20 million to spend on a visit to the ISS is that she invested the time and energy she could have devoted to questioning and second-guessing the dreams of others into pursuing her own dreams. Maybe she still has dreams and you just have your jealousy. To each their own. I’ll support your dreams over anyone else’s jealousy any day. Dear Anousheh, and hello to Peter and everyone taking the time to read this far down…. First, it seems clear to me that BOTH Mr. Ali and Anousheh are trying to come to grips with the same issue. He doesn’t understand how what she did warrents her a ‘fan club’. And Anousheh, you have said and wrote that you hoped to show people that dreams can come true, and to inspire them to persue their own dreams. But you clearly didn’t expect people to react to you in such a personal manner, of which I’m as guilty of as much as many others who left you comments. Kind of like walking into your house, turning on the lights, and having hundreds of people yell SURPRISE!!!. I can imagine you just standing there at the door, with a stunned look on your face, wondering why your getting all this attention. Anousheh, we just plain like you. The little girl stairing up at the stars we can all relate to. We can admire the journey you have been on your whole life, not because it was easy, but because it was hard. Some ask why do it? You answered ‘why not?’ You inspired people with words and ideas, not special effects. Both the joys and hardships of space travel now have emotions, something that was lacking, and now have relation to what we do everyday here on earth. Respect. You show it to other people, you’ve told how other people can and do show it, and we just want to show ours to you. Anousheh, we’re not a fan club or admiration society. A new circle of friends may have taken form by accident, or maybe it was meant to happen. You reached out and took us by the hand to go on a wonderful adventure. Now we extend our hands out to you, for the real adventure, the Quest, is just begining. Come take your place in the circle, there’s always room for one more dreamer of a better future. Let’s all go forward together, let’s stick together, no matter what anybody says or does to try to discourage us. Anousheh, we like you, plain and simple. We think of you as we would a friend, bestfriend, or even as family. I wish there was a way to help you sort through all the feelings your experiencing, time and rest will certinly help. Even a good old fashioned day at work at Prodea Systems might help. You know, phone calls and e-mails, a cold soda, and a stash of chocolate in the top desk drawer…. and Hamid. For everyone else reading this, I’m the sure the Ansari family has alot of catching up to do. They have been apart for a long time, and now they have a Cosmonaut to deal with. She did belong to them first, you know. A little time and patience on our part is in order here, the rest of the chapter is coming. Geeeeezzzz, next time I’ll just write a book…. Welcome home. Since most space-people are military personnel, their internal case-hardened armour would prevent me from asking them the following questions. Perhaps they are better answered by someone as young, idealistic and maybe innocent as yourself. I don’t know you, but you seem to have a poet’s heart, or perhaps eccentric rockstar might be more apt. Did your isolation from earth come with a feeling of isolation from God? Did your dependence on all the power of technology make you feel less dependent on the Creator? I can only imagine that your adventure was somewhat traumatic, so I would not press you for any revelations about our relationship to God that might be afforded by leaving the Earth for a time. I look forward to your responses once you have recovered fully from your travels. I thank you for your emails from space. It certainly is a strange feeling participate in an extraterrestrial blog. No, Andy – the universe is astounding – you are tiresome. You have yet to actually point out a single fallacy in my logic. Namecallling is a poor substitute for that. Anousheh, you lit a fire. Some will try to quench it, whether out of spite, envy, political nearsightedness, or simply because your success and generosity have provided them a forum. But many will draw inspiration from it. I admire your courage in lighting and sharing it. I hope it spreads, because the world needs the perspective your letters provide. Best success in your next adventure. Every dollar oil falls is $20M a day. A $20 drop in oil since July high of $79.86 is $400M per day, $2.8B a week, $145B a year. $1.7T annual global oil scam is sucking the world economy dry. There’s nothing we can do to get back the $600Bn (just the US payments of oil over $40 in the past 24 month) that we’ve handed over to oil companies. SO $20M IS NOT A LOT OF MONEY, WHEN YOU LOOK AT THE BIG PICTURES. Crooks, sucking billions of dollors from our pockets everyday and nobody seems to objecting them. Anousheh did a good job, inspiring many people with message of love and peace, and followed her dream with her own money (NOT YOUR MONEY). Don’t be jealous of her; ask yourself what you did for peace, people, etc. before any criticism. Found this passage today in Shakespeare’s Henry V, thought you might enjoy it. I wonder what new meaning you would read from this due to your very unique experience. One that Shakespeare probably never thought possible. salam kahnume aznsarie aziz.ba in ke chand ruzi az safaretun gozashte vali ma hanuz be yade shoma hastim.chon shoma 1 olgu baraye ma iraniha va be khosus baraye man hastid.man hanuz montazere nasuhat haie shoma baraye khodam hastam.bedunid ke nasuhat haie shoma kheili man ro baraye residan be hadafam ke ghablan be shoma goftam komak mikone. man be shakhse be shoma eftekhar mikonam. and Anousheh is there with her Iranian flag! Now I understand what Anousheh meant when she said this was just the start!! All can say to you is GOOD LUCK, enjoy and above HAVE FUN. This blog to me was a place to read about science and space, in a simple non-technical language. Now we have lost the main subject, and discussing marginal issues. Let’s all forget about money or things like that and start writing and thinking about space once again! and let people who would like to be negative about Anosuheh’s advanture express their words as well, no one needs to convince them otherwise. Let them say what they like and do not get in to the trap of wasting time to argue with them. We are not in a court defending or accusing some one! Let us think about space again. The Persian translation of this weblog is well edited and lovely. Please go on with other writings and also comments in persian. We are praud of you. khaterati ke shoma dar mored faza neveshtid anghadr ziba va resa bood ke man khodam vaghean ehsas mekardam ke anja hastam. montazer neveshteha va axhaee degaretan hastam. In her first memo from space, Anousheh equated “the smell of space” to the smell of “burnt almond cookies”. By looking at the reaction of reporters around the world and some bloggers here, I soon realized that what seemed to be a normal tangible smell for those who are raised in Iran, the description might have sent many non-Iranians searching for clues. “Burnt Almonds” or “Badam Sookhte” (if that’s in fact what Anousheh had in mind) is a traditional Persian candy that’s usually served at family gatherings. I am not sure how it’s made (maybe someone can help me here) but it’s fried almonds coated with sugar and is very crunchy and tasty. Well, it actually smells like space, if you are wondering! Sitting in a bowl, the almonds often get stuck together and you have to break them apart to eat. If you have some Iranian friends, ask them to send you some. People have been leaving lovely comments for you on this post, and I would like to make sure you see them. People from Australia, Iran and India have all left messages. and WOW, I love the new Genomics Prize! خانم انصاری به جوون هائی فکر کنید که اول وقتی اومدن به سراغ وبلاگتون فقط میخواستن ببینن انوشه انشاری کیه؟ اما بعد مجذوب صداقت و صمیمیت کلام و رفتار شما شدند. شما رو الگوی خودشون کردن و حالا هر روز اولین کارشون اینه که بیان سراغ وبلاگ خانم اوشه انصاری تا ببینن شما چه حرف تازه ای براشون دارید. یکی از اونا خود منم.خانم انصاری شما 1 ساعت زنگدار کوچیک نبودید.شما روح تازه ای از امید رو در من (و مطمئنا” خیلیای دیگه)دمیدید.باعث شدید آرزوهای بزرگ من به نظرم خیلی کوچیک بیان و رسیدن به اونا امری بدیهی.باعث شدید من در درون خودم جست و جو کنم و رویای خودم رو پیدا کنم.چیزی که حاضرم خودم رو فدای رسیدن بهش کنم. من به نصیحت شما گوش میکنم و نمیذارم کسی بهم بکه رویای تو نشدنیه و رو قول شما هم حساب کردم! حالا دیگه همیشه لبخند میزنم تا کسی نتونه بهم بگه “نه”! و کسی هم نمیگه! خدا شاهده که همه حرفام رو در عین صداقت( مثل خدتون) گفتم.نه تملقی در کار بوده نه تعریف بیخودی.من فکر میکنم شما الان خسته اید.باید کمی استراحت کنید.وگرنه شما قوی تر از این حرفا هستید که به خاطر 4 تا حرف عده ای حسود سطحی نگر ناراحت بشین و ماها رو فراموش کنید. بابا من از شما یاد گرفتم چطور باید با افکار منفی مبارزه کرد. زیاد نگران نیستم.چون میدونم چند روز دیگه بر می گردین و مثل قبل و بی توجه به همه ی اون حرفا به راهتون ادامه میدین و جوون های دیگه ای رو بیدار می کنین که در آینده از بزرگان ایران و جهان میشن. راستی می خواستم بگم نگران برق لبتون نباشین. خودم چند سال دیگه که به عنوان گردشگر رفتم پایگاه فضائی.براتون پیداش میکنم. Anousheh joonam, GOD BLESS YOU AND I WISH YOU THE BEST FOREVER. How come you are not writing about the last part of your extraordinary trip? i am dying to know more, PLEASE, PLEASE, tO rO khOda tell us more about your journy. That’s ok too, though some say that history is written by the winners, we will see. Ok with me, I will wait for Scotty to beam me up I won’t take Soyuz or the like. I don’t care. Anyway I have never been a keen reader of Guinness. I still like – and respect Anousheh for reasons unnecessary to repeat. Am I a “Johnny come lately”? YES, is it forbidden? Are we the cosmic management? Is – TALKING ABOUT (or around) – space reserved to an exclusive club for the happy few (who have of course majored in English)? Intelligent cynicism is fun and refreshing as long as it is Intelligent and Cynic enough to avoid meanness. I have filled the hard disk of my computer with your pictures, videos, and notes.You have made ISS famous. Before your trip to ISS, nobody cared for ISS. Now people all over the world wake up even in the middle of the night to see ISS flying over their city like a bright star. Do you know why? Because you were in it. I woke up 5 am in Tehran and watched ISS. I waved at you and told you from Earth “You are the bightest star”. What you have done for the history of mankind is more than what Jules Verne has done. You are a great great space writer. You are the 1st and the best space blogger in the world. my husband is an astronaut at heart. he could tell me anything about any space flight in the history of nasau. he knew he could never be an astronaut, because of scoleosis, so he went to electronics school instead, in an attempt to be an electrician and then get into the space program as that. so he coulr tell me who the fourth person to set foot on the moon was, including almost everything about the russian space program. this is a perfect example of the peace that could be. i am not God and no one answers to me about their free will. nor to anyone else in the world. we all answer to the God of Abraham and Sarah. as for spending the money on more humane programmes, that would enhance the lives of who-knows-how-many, have the critics given to charity? and then, which charity? there will always be divisions. and many thanks to ansari for all they have done for so many. Since I discovered your blog I have been reading it faithfuly and for some reason my tears keep runing down my cheeks, I am not quite sure why . I have talked about you to my 3 year old daughter and she wanted to know what you looked like so I called her to come and watch the news when you landed. Then yesterday she told me that she saw you on a plane from our living room in Iran, I said no that is not possible because Anousheh was in a special plane and not a regular one but she promissed that it was you she saw, she told me that she saw you with your sepeical helmet and recognized you from the window! Perhaps her imagination will one day take her far too! Thank you for making us so proud. تنها الگویی هستید که به اهدافش رسیده دوست دارم من هم مثل شما به اهدافه دورانه کودکیم برسم خیلی دوس دارم که مهندس مکانیک بشم و تو ایران ماشین طراحی کنم شاید خنده دار باشه ولی این آرزوی یه پسر 16 ساله ایرانیه که دوس داره روزی بهترین باشه مثل شما و خیلی های دیگه! I really don’t understand (Didnt take the pains to understand, I should say) what X prize is or what does Genome means. What has inspired me most is your determination to make things happen. I have read books and have asked many as to how the space would smell, what exactly the space will look like etc. Their answers was not convincing. But your blog I should say was awesome. Ur words gave a perfect visualization. Keep blogging. if u read ur several comments may be u can remember me[ I hope that]. 1. Is there any sound in the space? 2. How was sunset and sunrise there do u have any photo or film of these moments in the space? 3. As I ask u before we have special feeling in these time specialy between “AZANE SOBH” and sunrise[ in the earth] even according to gene expression experience; would u please tell me about ur feeling there? 4. there is two many sentences about space AND stars in the HOLY QURAN and also GOD SWEAR TO THEM AND EMPHASIZE THAT IT IS GREAT SWEAR AND HAS ASKED PEOPLE TO THINK ABOUT THEM, DO U READ IT AND COMPARE WITH THAT U SEE THERE?WHAT IS UR IDEA? 4. I like to do some research about stem cell differentiation, 3d tissue culture and survey effect of space on ageing markers, gene expression and repopulation ability of stem cells, I searched NASA site several timeS before for possibility to research or post doctoral but there isn’t any chance for none US student [I’m Iranian girl], would u please guide me what can I do ? do u know any other space research center for my proposal? hope to here ur answer specialy last one. Then I will attempt to do so if that is what you so desire. Being the fourth in line does not make her special. However, it does not preclude it either. You are creating a straw man fallacy with that statement and then summarily knocking it down. I don’t think it will be possible to point to a single attribute of her or her journey that accounts for the response she is leaving on this blog. Instead I think you will find a variety of reasons so many people are supporting her. I, for instance, think the XPrize made a huge contribution to bringing space into the public consciousness again and in pushing private industry into the arena. For that, I could never thank her enough for her support of it. Still, now, she continues to work to bringing spaceflight to the common man and woman; as it should be. Anousheh came from humble beginnings, like many of us, and has clawed and scratched her way to the top. While being an Iranian by birth, she embodies what has been called the American Dream, but what is really the true elegance of any free society: the ability to be and do anything you can dream of. She is a fantastic communicator, despite her admitted lack of vocabulary, and describes what is generally thought of as a highly technical and rigid process in terms of its relation to humanity. She encourages others to experience the dream vicariously through her, which establishes an emotional bond with many who might not otherwise have any way to realize their ambitions. She wins hearts with her exhuberance and excited outlook on something she truly believes in. Likely each person here is only a supporter for one or two of the above reasons (or one of many others), but it is all these complexities that come together to form her as a person. That person, through those complexities, has earned the respect and admiration of many. I don’t think her trip in itself created her ‘fan club’ as you call it; I think it just made the ‘fan club’ more visible. Again, this is further use of your strawman argument. It is not being fourth that earned her this respect. [I]”No, I don’t stop to thank them, nor do I remember their names or build a fan base around them. Who was the 4th person to sail across the atlantic on a steamship? See, I’ll bet you don’t know either. Well, I can say for certain we do not remember the first. The Vikings were in the Americas long before the 15th century. Columbus certainly wasn’t the first here, nor was he even intending to discover a new continent. However, whether he was the 4th, 16th, 3rd, or whatever, nearly everyone knows his name because his accomplishments go beyond discovery of the Americas; they include making the continents accessible. However, you make a good point about it being those who funded the missions being just as heroic. In a modern day analogy that might be like looking up to those who paid for Anousheh’s trip, or if accessibility is the bigger deal, perhaps the person who funded something like the X-prize. Oh wait! That would be Anousheh as well wouldn’t it? So your own words describe why she should be considered a hero. [I]”The bottom line is all of the “Breakthroughs” we have today were at one point expensive, dangerous and difficult. We take this for granted now, but each of these industries began with pioneers. Again, this seems a bit of a strawman. Many here are not supporting her because she went to space. My impression is that most are supporters because she shared her trip to space with them. Others, like me, support her because she has worked, and continues to work, to open up space to us. One important difference to note between Anousheh and most investors is that a standard investor puts money towards a goal to make a financial gain; Anousheh has used her money toward a goal of helping an awe-inspiring and absolutely critical industry for our survival get off of the ground. She invested in her dreams and others’ dreams. She had not only the money to invest and the will to invest it, but also the intelligence and logic to see the importance of manned spaceflight for the world, both materially and psychologically. That, in my opinion, is what really makes her much more worthy of respect than a regular investor or a regular space tourist. I respect to her not because she helped to open up space for Iranians or Americans or Women or any other subgroup. I respect her because she helped to open up space for humanity. Hi Anousheh. I have written, I think, before – when you were in space and I was following your progress on this blog. I think you are suffering from what us Aussies call the ‘Tall-Poppy’ syndrome – when a popular and successful person, usually a very high achiever, is the subject of usually unfair and unwarranted criticism or attack (some people wish to cut the ‘poppy’ down to size). I am quite frankly shocked that your venture has attracted any criticism at all. I absolutely love your enthusiasm and passion for space and technology, it really makes me so proud as a woman (and human) that you are out there, challenging yourself to excel and have such high expectations of yourself – what a hard, unbelievable goal to want to achieve, and yet you did it! That you opened the world up to your experience through a blog is fantastic, it shows perhaps that your true motivation to make the space journey was not only out of personal curiosity, but that you wanted others to be able to share your adventure and become excited about space again, too. The blog really did give us all a personal and emotive description of the space experience. I think you are a person to be admired. You are a role model to me, and should I ever have children I will hold you as a role model to them, also. You have determination and a strong will, as demonstrated not only by your space adventures but by your obvious talent for business, scientific fields and philanthropy. Be proud Anousheh – I am sending happy thoughts your way! لطفا ترجمه مطالبتون رو سریع تر بروز کنین تا ما این قدر تو کف خبرای اون بالا نباشیم. I like the way you put it. I have met Anousheh and the Ansari family and have to agree with you 100%. I don’t think anyone that has had any interaction with them can disagree on thier gererosity and caring. They are truely examples of the best humanity has to offer, and they share it all without reservation. با تمام وجود به همت شما افتخار می کنم،و خدا برای شما آرزوی سلامتی و موفقیت بیشتر دارم. خدا نگهدار. Anousheh is in good company. Captain James Cook was commissioned to travel to Tahiti in 1768 to record the transit of Venus across the sun, as part of an international scientific project. He had additonal duties to find any Antarctic land mass, and to expand the King’s influence in the Pacific. HM Bark (or cargo ship) Endeavour was bought for the purpose by the British Admiralty at a cost of £2,800, plus a similar amount to prepare and provision it. But the natural history science expedition was estimated to cost its team leader, Joseph Banks, around £10,000 of his own funds. They discovered, recorded and returned samples of thousands of new species, as well as writing accounts of the people and places they discovered in a way that the stoic Captain Cook could not. It is really great that even in the days of spaceflight there is a place for private initiative to describe the experience of space for us. It will take months or years for Anousheh to “come down” from the adventure, so I hope she continues to describe her immediate and longer term views of it. PS They even named a spaceship after Endeavour! What a nice tirade as a comment!!! And she didn’t? How do you know? A space trip was a very smart idea!!! No one had noticed any of these on Ansari’s homepage. Thx for opening our eyes. To each his own… She has earned the money, she has the decision to spend the money. If you had money with you and spent the way you wanted it, that is your problem. I would like to go to the moon and die looking at our planet earth, if i earned for it and am able to do it, no one else has the right to challenge it! that is why i am living for… had i to take care of poverty i would have been a follower of Mother Teresa, which i am not. So if you have a problem live with it. We are happy to have you back on earth in good health.Thanks for sharing your story with us. The description was so vivid and as I was reading it I could feel every moment of it . You are an inspiring woman and a roll model for me personally. And once again you make us more proud to be iraninan. God bless you and your family. Keep on doing the good job and please keep us updated about your future plans. You are wondering why so many people feel that emotional because of Anoushehs trip, althought it was just a ‘vacation’ and she was not even the first person to do so. Well, in fact it was the blog, that let me feel this way. It’s like reading a good book or watching a romantic movie – you get right into the story and you’re hoping that the main person will get his goals and there will be a happy end. And many people get so deep into the story that they start to feel what the character feels. And so it was – at least for me – while I was reading Anoushehs blog. As I heard about Dennis Titos flight to ISS I thought “Ok, fine, he made it” but that was it. But reading Anoushehs private experiences, thoughts and emotions was a completely different thing. First thanx for your blog, it was great to know about how you have developed the X prize and opening it to a wider field. I wish to hear more about the prizes you are about to create in social fields as you have mentioned on X prize website, also to know more about this X prize for genomics. The given link does not lead to any page. For the time being there are so many readers of Anousheh’s blog. I enjoy reading the unpretentious enthusiastic writing of a young girl in some remote place as much as the input of some real expert on the matter. I hope you, Anousheh, and the rest of the team as well as the readers will be able to make something of this availability and interest. I am an entrepreneur and running a small IT company in Toronto; I was dealing with some usual struggles for the business (as you know them better than me) when I heard about Anousheh’s travel and I was just inspired by Anousheh and her brave decision and vision to re-start again and stand up and move the business one step more, one step up and I feel lots of eneregy to do so for so many years ahead just because of that. Those negative feedbacks are mainly coming from poeple who don’t have vision and I doubt they never ever tried to build something and managed to make something happen from scratch. Please say my warmest hellos and thanks to Anousheh and tell her if it was not because of her, I was not in the place that I am now. Negativity goes hand in hand with positivity. Yin & Yang…a part of life really, don’t you think? I don’t feel it pertinent to have people turn this into a nationality or national ‘pride’ issue. Anousheh, you are a woman, an exceptional one at that, everyone agrees, but first and foremost you are a citizen of the world, a human being! Imagine if you’d met an alien life form, up there — just play along if you don’t mind — who asked of you, “So who or what are you?” I think the most logical answer would be to reply that you’re an ‘earthling’, a citizen of the world that is known as planet Earth, right? I see people as people, not as compartmentalized by race, creed or colour. We all come from the same origin, the blood that runs in our veins is red etc etc. You are indeed a personable, sensitive, intelligent, humble (add more wonderful adjective to this list as it could go on for a while!) woman and that is what makes this blog you shared with humanity such a wonderful addictive read. You were able to infuse us with your enthusiasm and move us deeply on an emotional level!! More than anyone else’s proclamation of being “PROUD” of you, is the need for you to feel proud of yourself! I am sure you do and justifiably so. It takes guts to do what you did. I think those who accompanied you are just as wonderful as you are in that they also had the courage to undertake this type of journey. I haven’t seen mention of those people and their achievements (very much if at all) here! Bravo to you all as an entity as well as to each individual involved. I apologize for hogging the spot here and could highlight more aspects or even delve into the above but I think most will get the gist of it and respect this as being my personal opinion. I hope your re-acclimatization to EARTH goes well! apparently I have the sad duty to inform you that you suffer from the same basic reading comprehension failure as most of the other pathetically tragic individuals who continue to attack me because I don’t worship at this altar you’ve all built. I am an Iranian boy living in Canada for more than 3 years. I followed your trip to space from very beginning till now.I also read almost all comments people wrote in most news such az BBC,CNN and mosly Iranian one. I must say I shying that some people decide for other people’s money.I had never had $20,000,000 and probably I will never have but I am so happy that you made this amount of money just by working hard and being creative. 100% you desrve it and you decided what you could do. Such horible people back home who are extremely jealous. I was thinking that it was good if I could donate anything (Money or whatever) for you trip and I am SO proud of you. One of the best things I noticed about you is that you always said “I am Iranian” but I still dont know why people wanna say American-Iranian. I cannot tell how happy I am and I hope you underestand me. There is no need to reply me back but I will be super happy if I receive some feedback from you. Anousheh, bravo, I think you are a brave woman. You are a breath of fresh air for Iran, Iranians, and Americans. Keep up the good job, and keep writing. واز انجا اينكه توانستيد در پايان اولين سفر كيهاني خود به سلامت به موطن اصليتان زمين بازگشتيد خرسند شدم . Peter–Although you are 100% correct in the facts in your defense of Ms. Ansari’s spending $20 MM to go into space, I believe you miss the point. Mr. Saham in post 110 gets more to the point. Ms. Ansari risked all to come to an unknown America where she could be free. She pulled numerous all-nighters I’m sure to learn programming and earn her degree. She staked her retirement savings on her vision of her company and no doubt worked many more long hours there. She had the insight to create the right products at the right time. She is under no obligation to spend that $20 MM nor any of the rest of her fortune in any way whatsoever, not to benefit society nor to invest for the future. She made the rational choice and spent it to achieve her individual values and goals. To Mr. Saham, *this* is why she is an American. America is the place where everyone is free to pursue their individual goals. Iran and most of the world are places that tell people that the individual is nothing and that only the afterlife matters, not life on (or just off!) the Earth. Thank you for pursuing your individual dream, Ms. Ansari, and for sharing your success with us. You are an inspiration for us all, Iranian or American. I do agree. It is “a matter of perspective”. How about allowing comments reflecting a different perspective? To Mr. Eric Westphal, kindly do not over-generalize and say “Iran and most of the world are places that tell people the individual is nothing.” How much do you know about Iran and the rest of the world? I certainly hope your knowledge does not come from the media alone. I am an Iranian girl.and I live in Iran and I am proud of you!